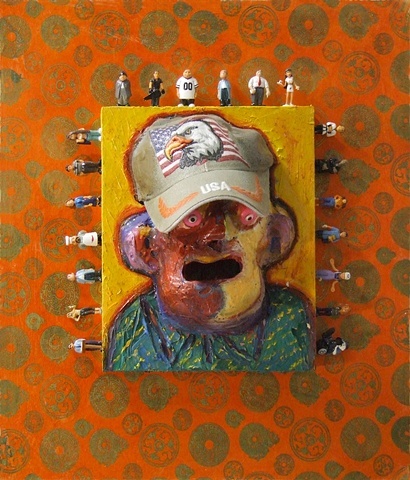 The title of Shalom’s Amerika is a nod to Amerika, the early unfinished novel by Franz Kafka. 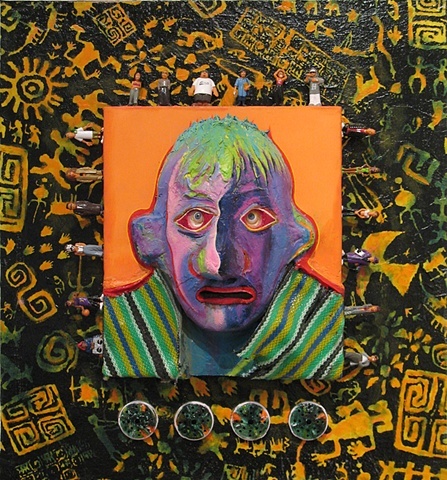 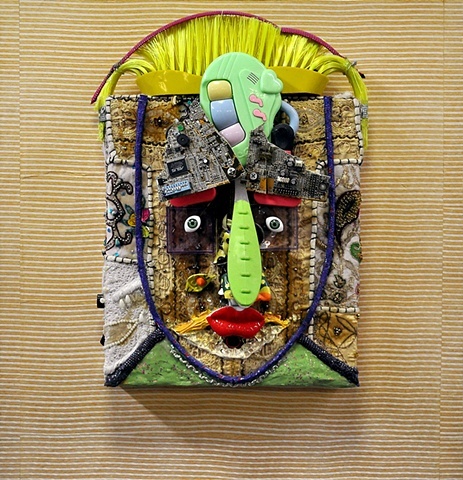 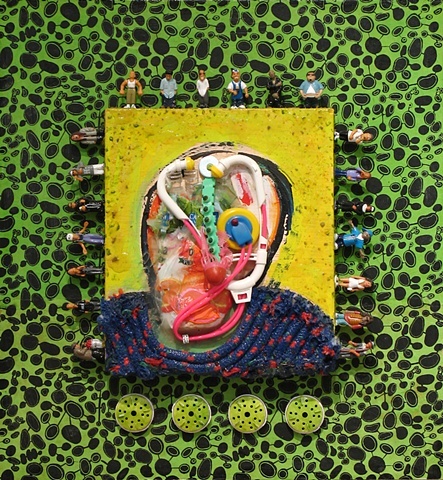 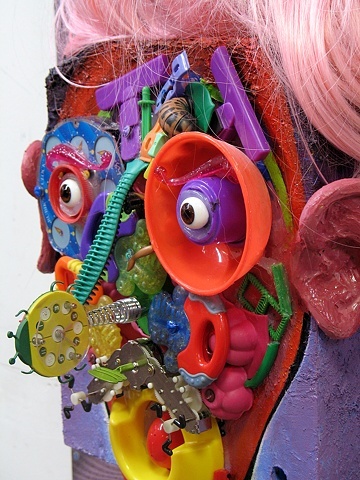 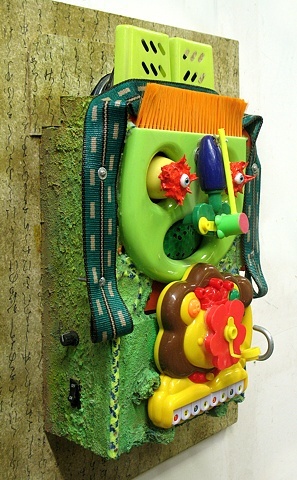 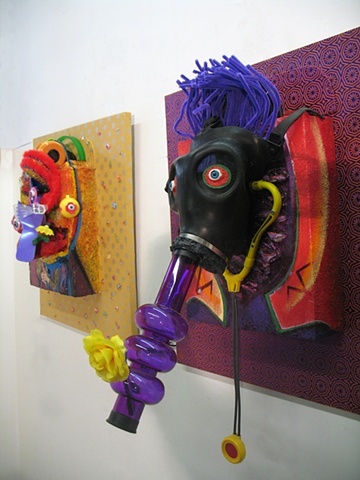 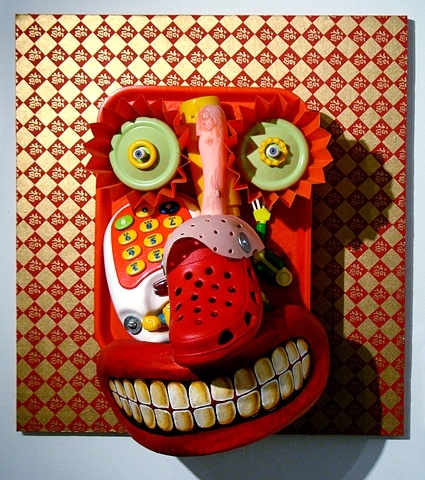 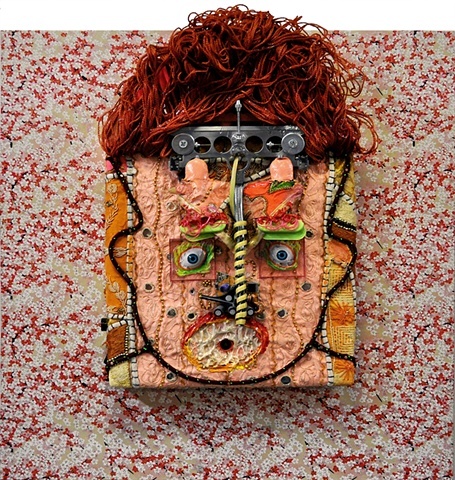 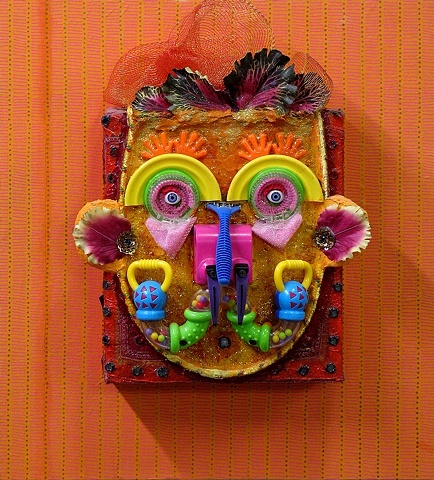 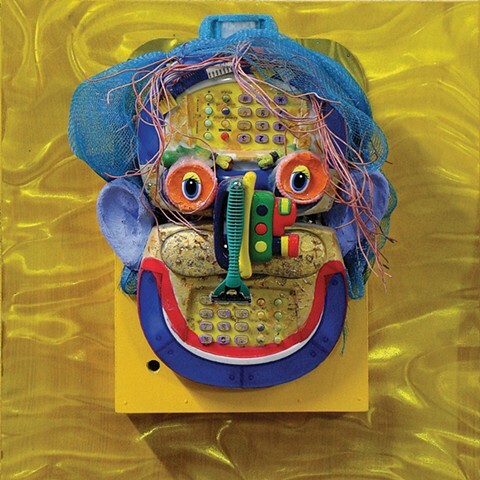 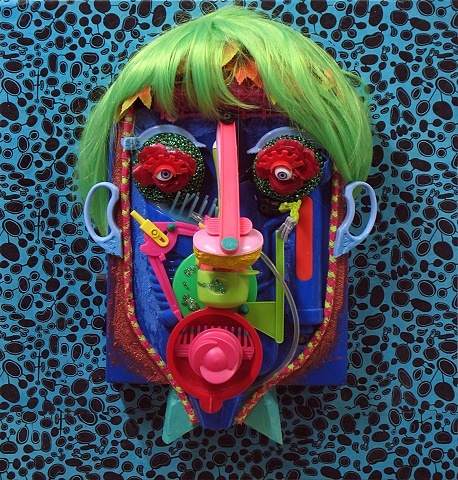 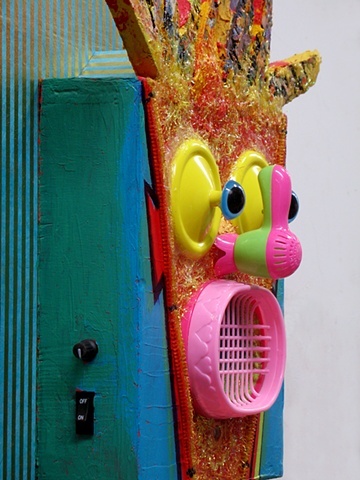 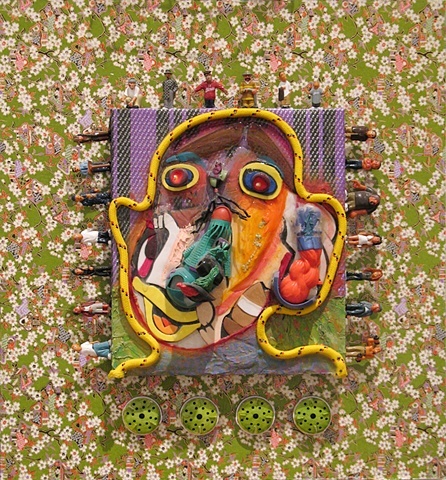 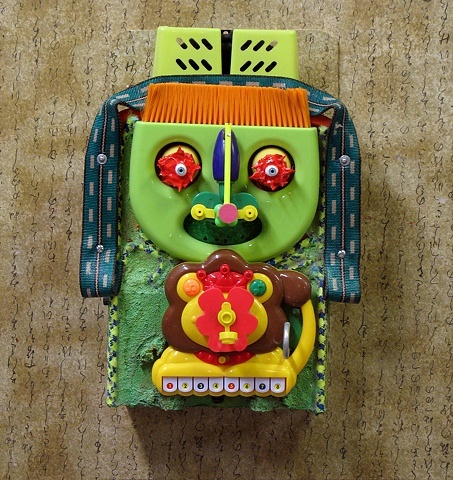 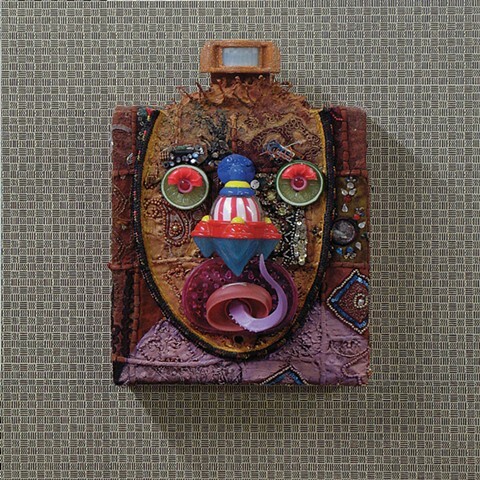 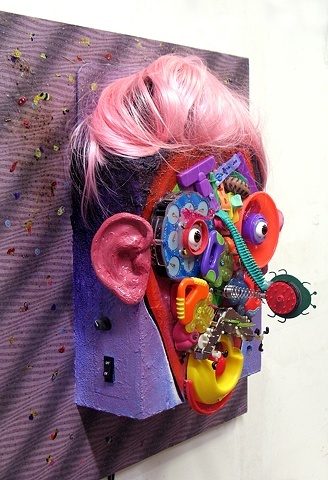 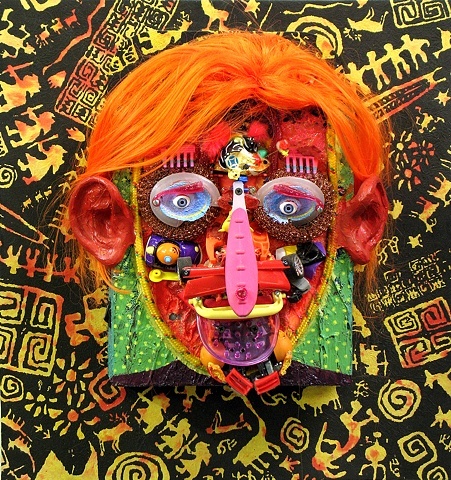 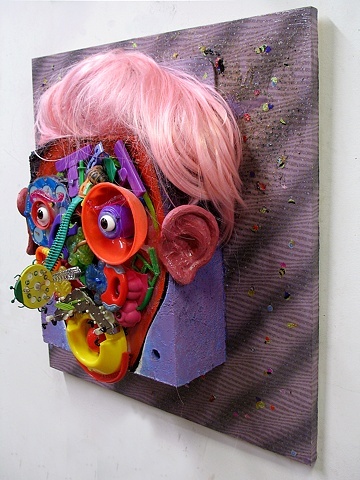 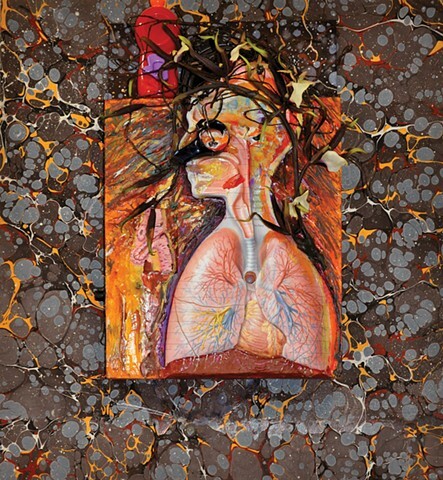 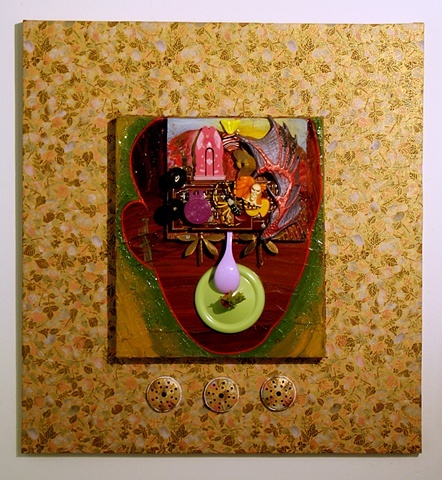 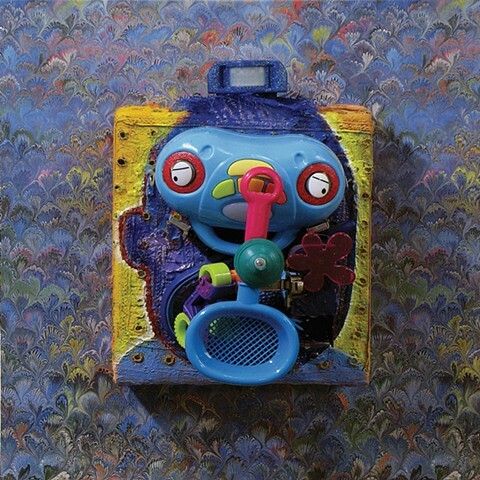 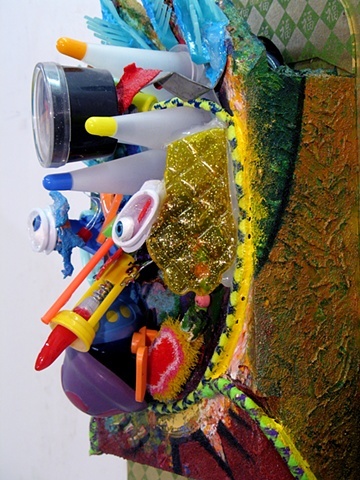 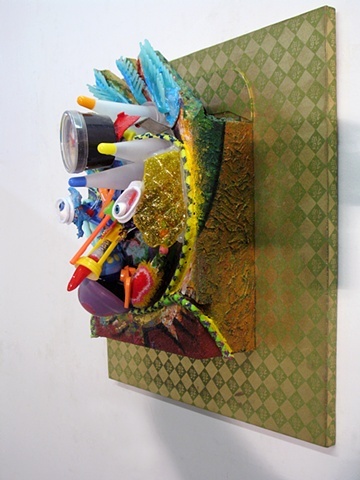 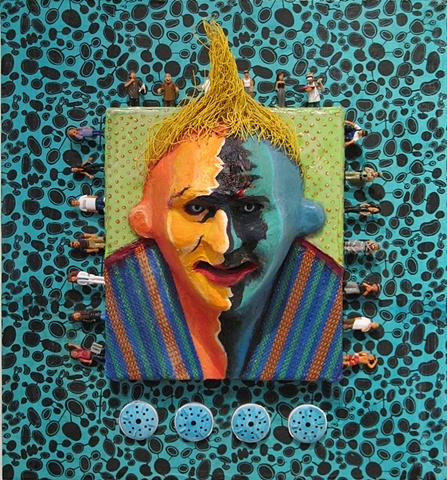 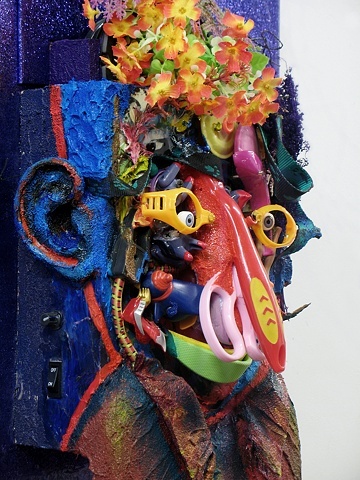 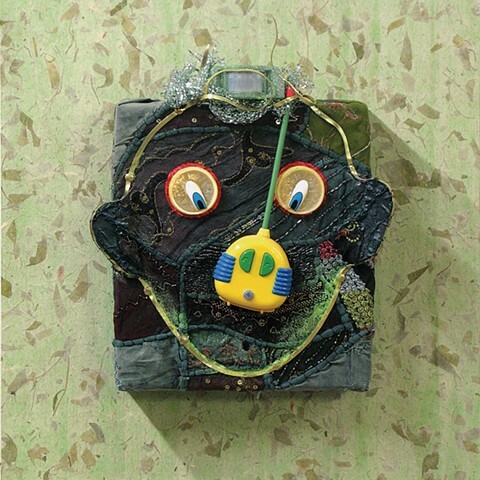 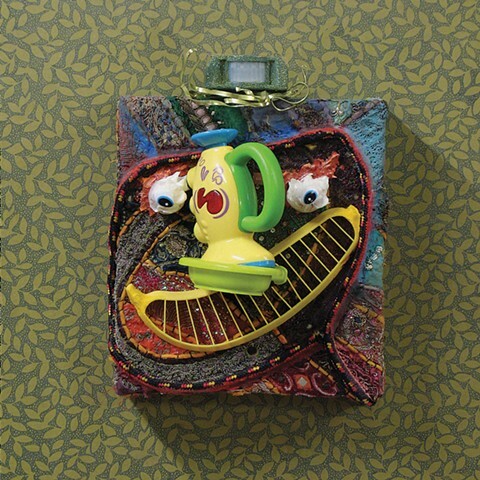 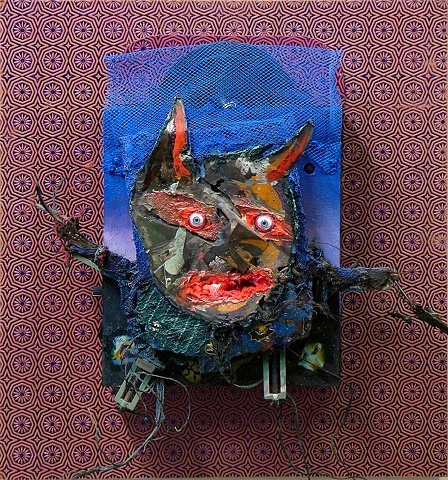 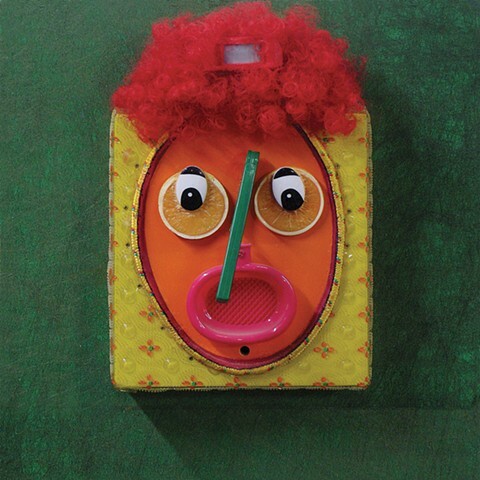 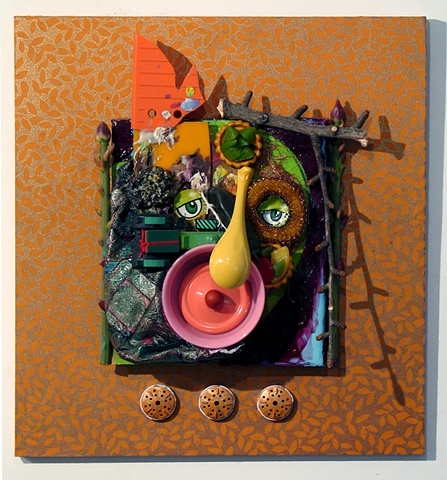 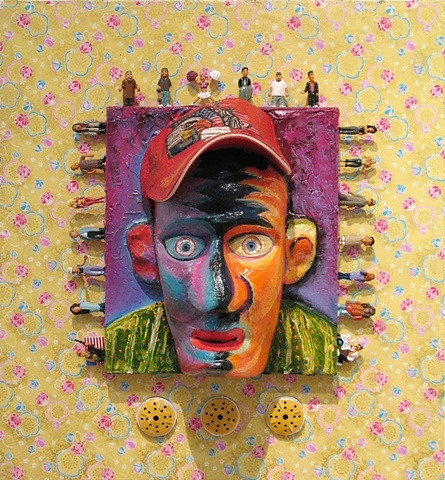 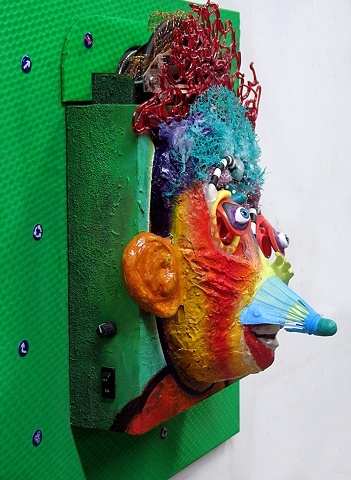 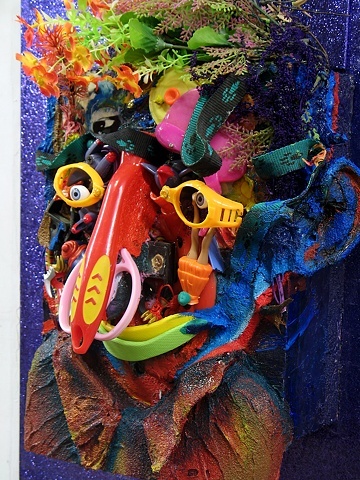 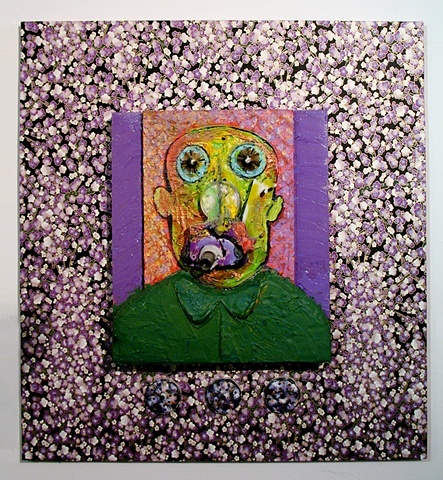 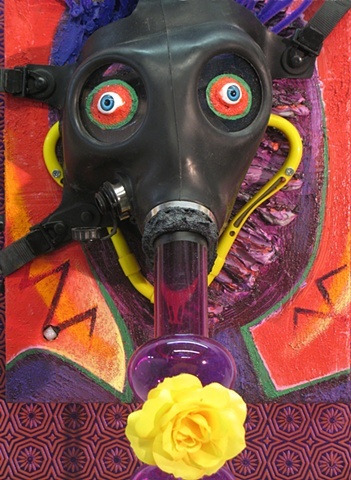 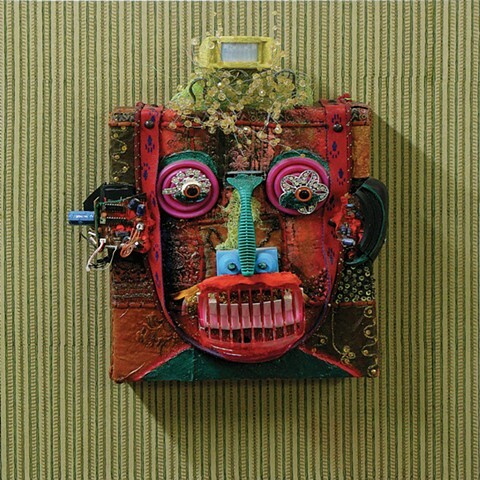 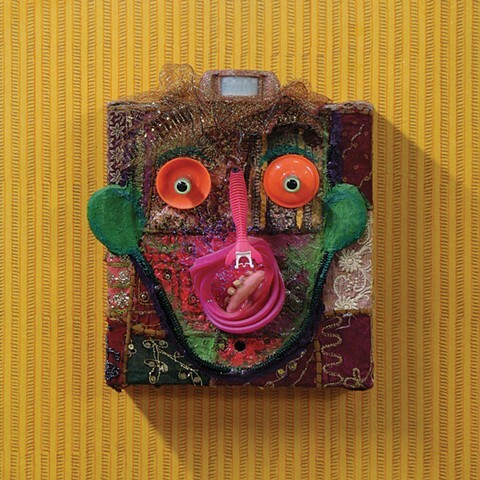 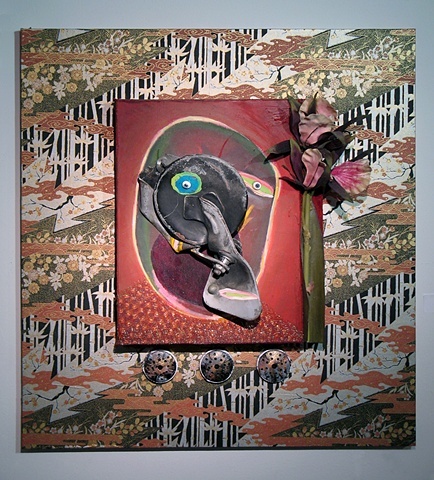 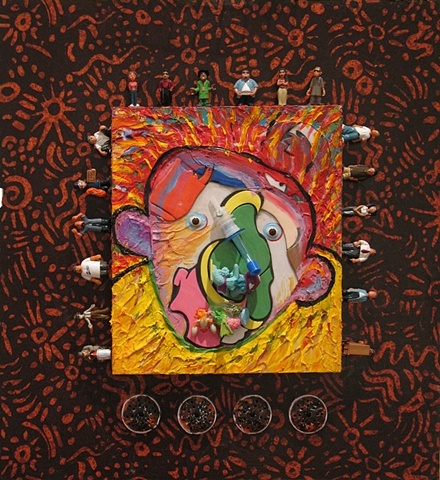 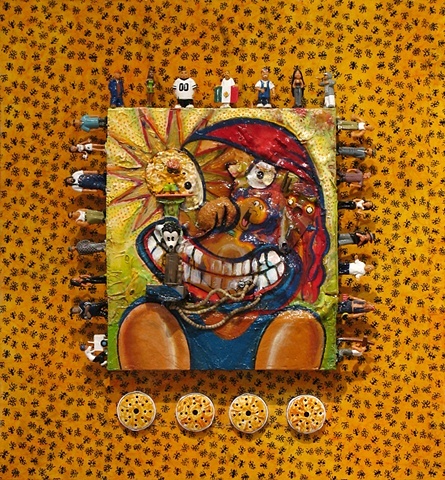 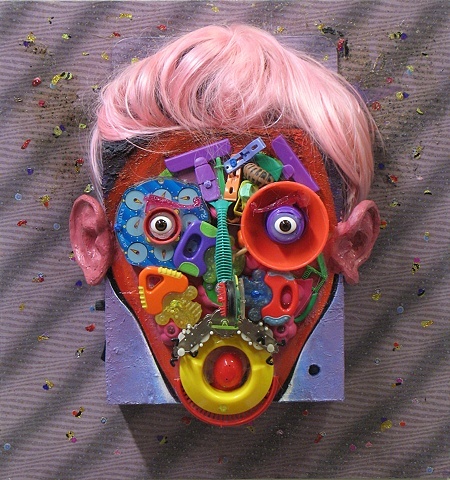 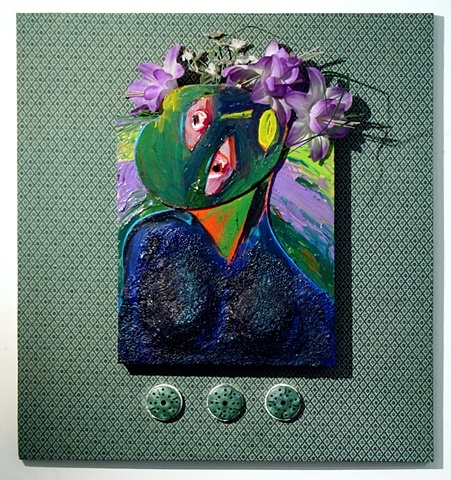 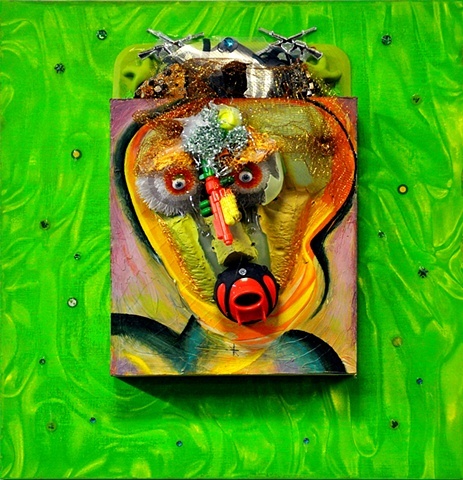 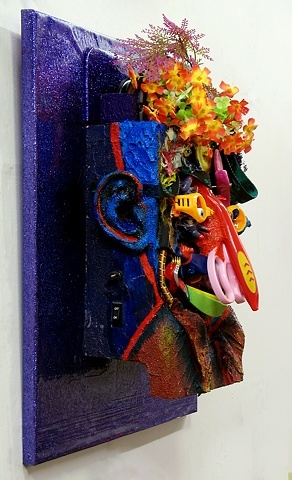 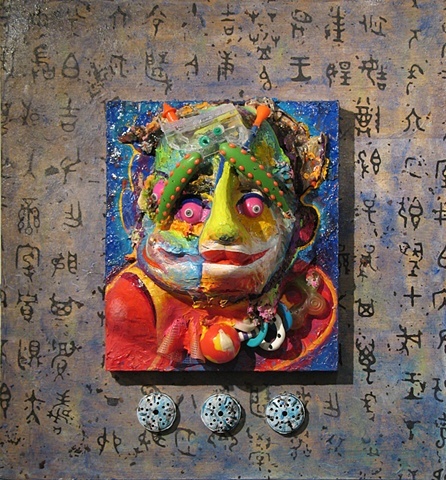 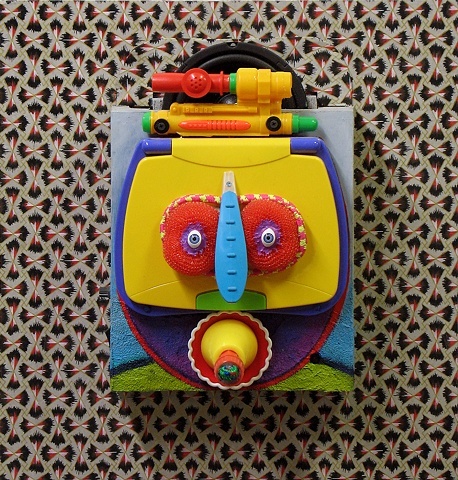 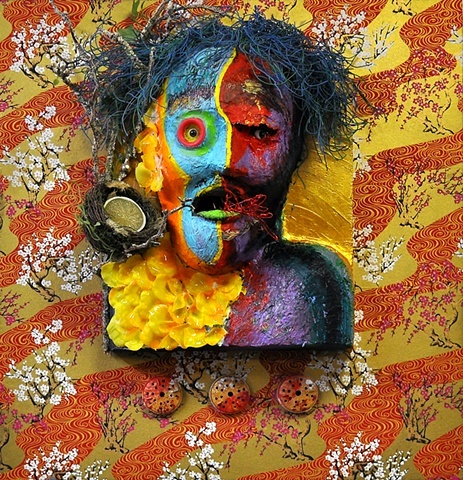 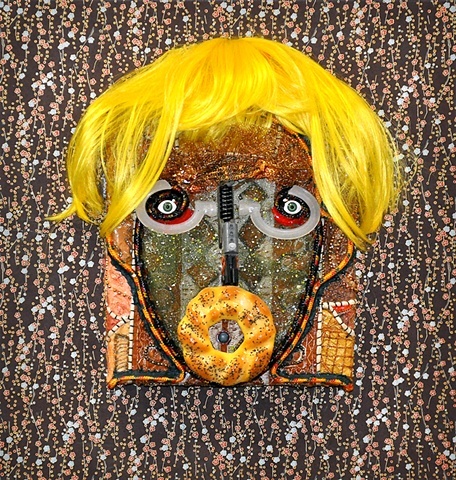 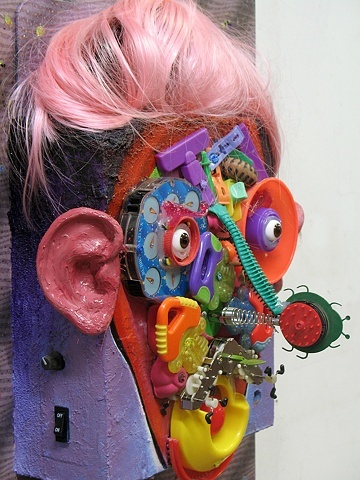 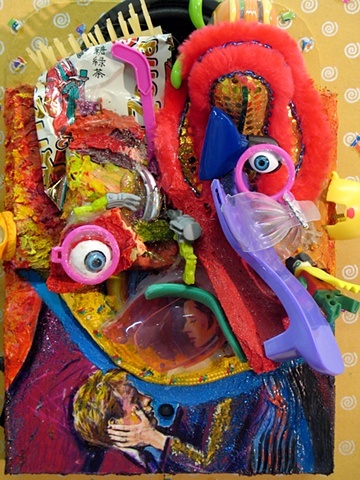 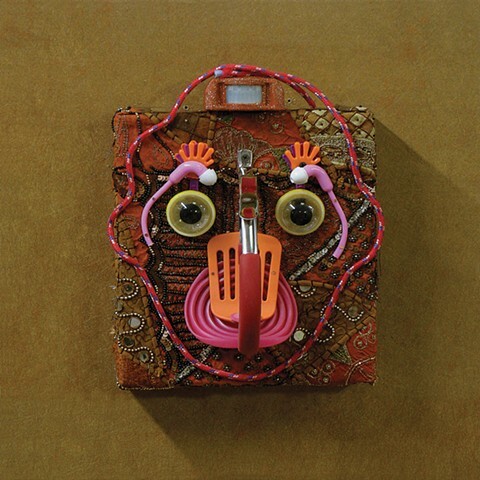 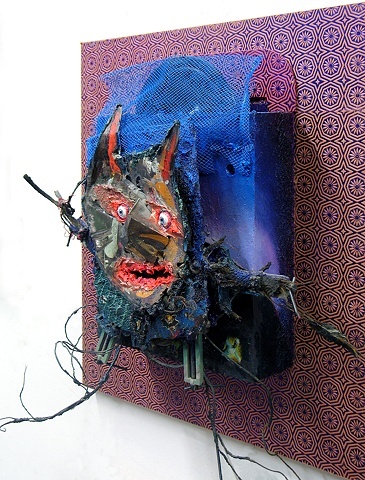 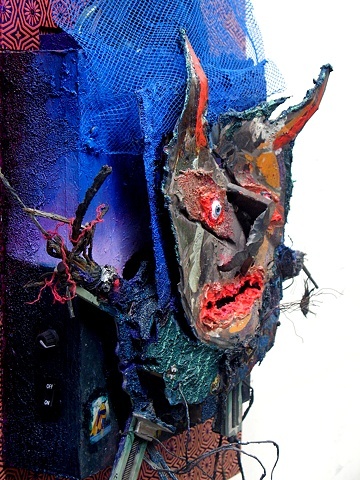 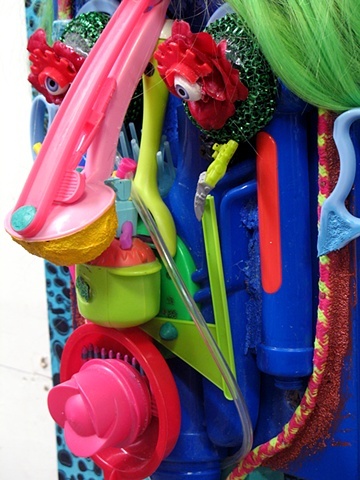 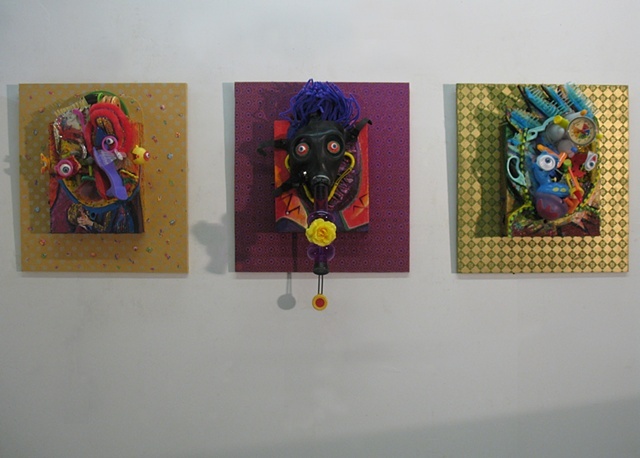 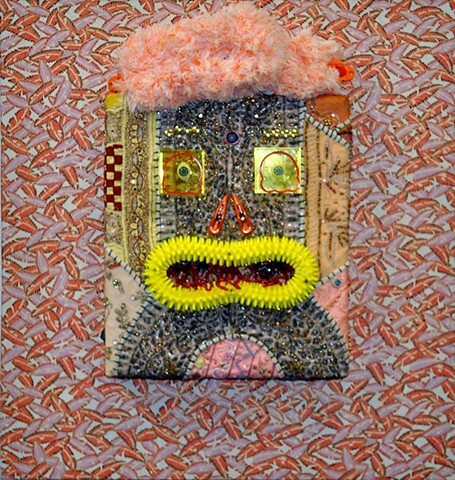 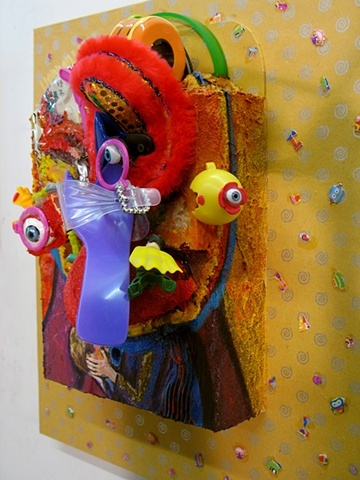 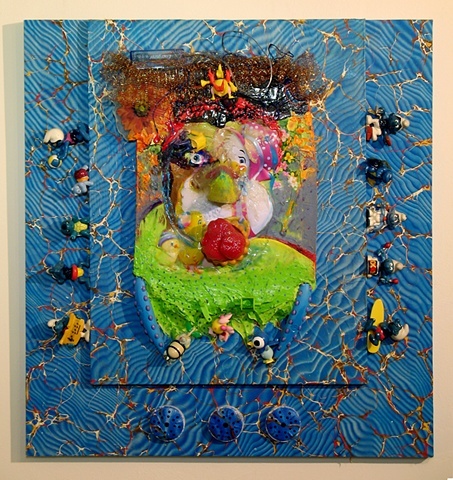 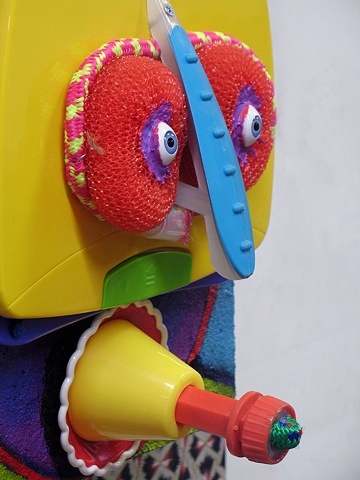 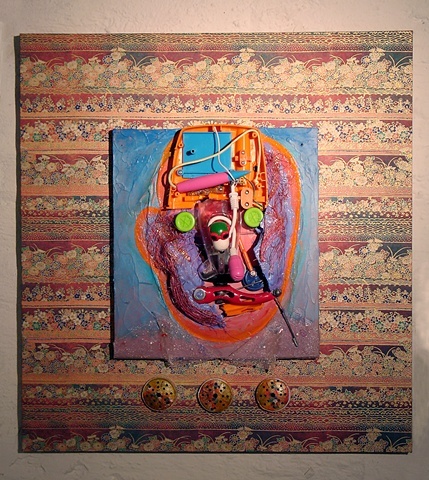 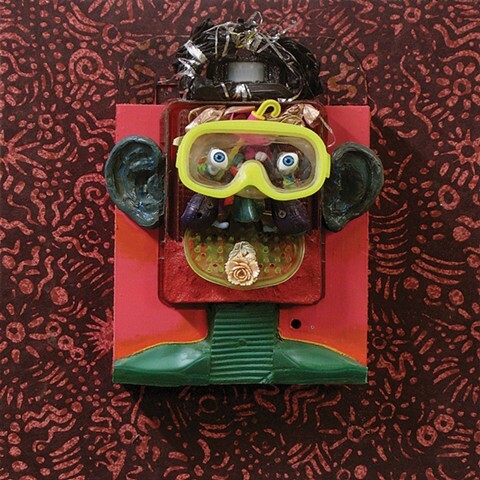 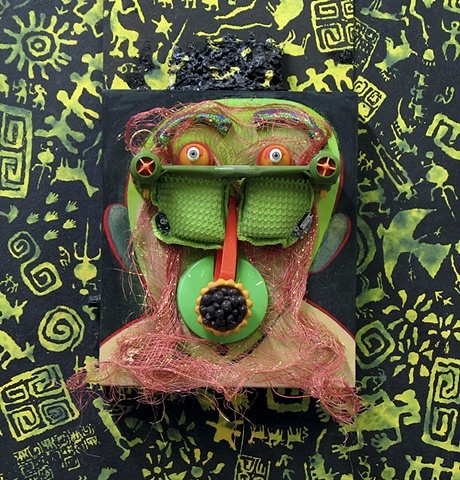 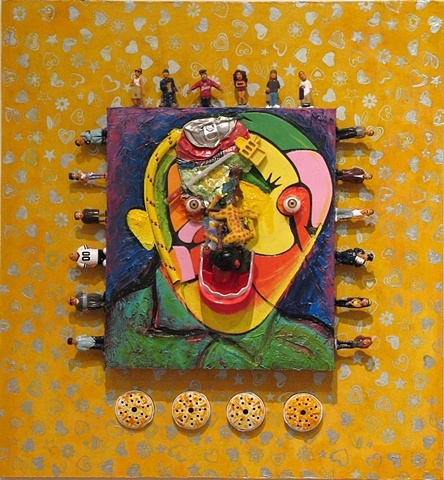 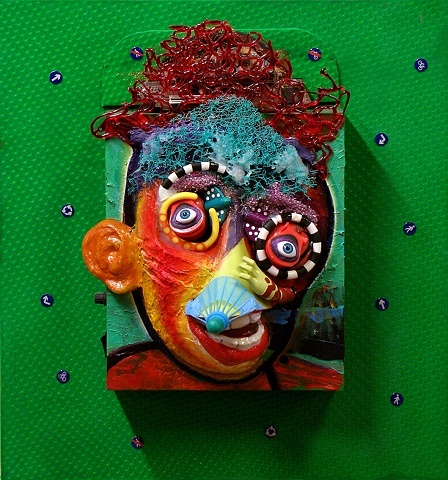 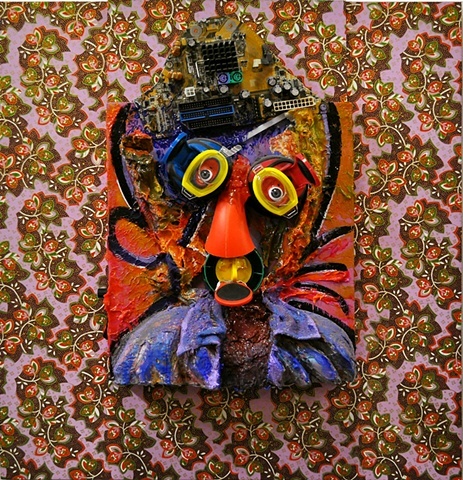 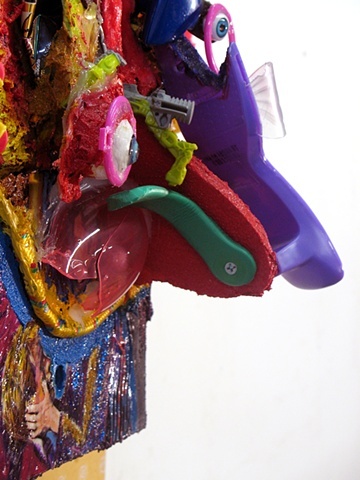 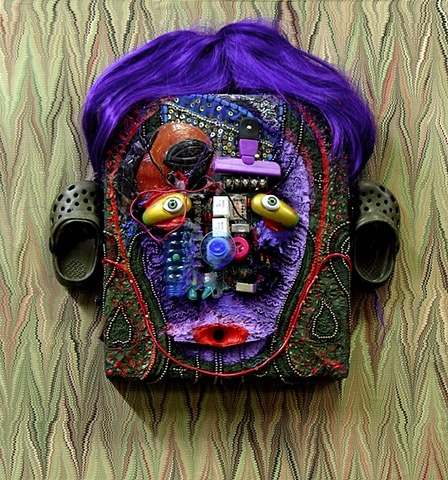 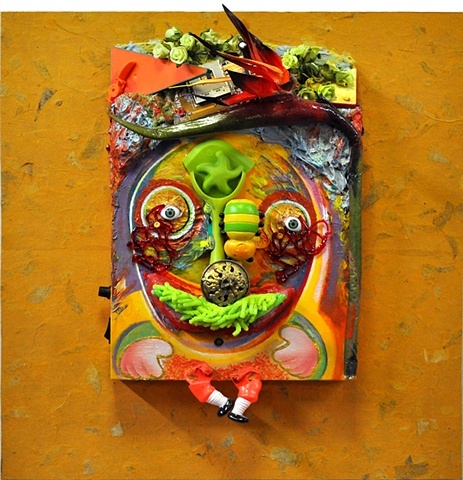 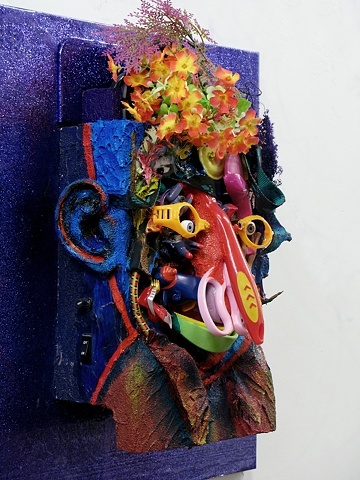 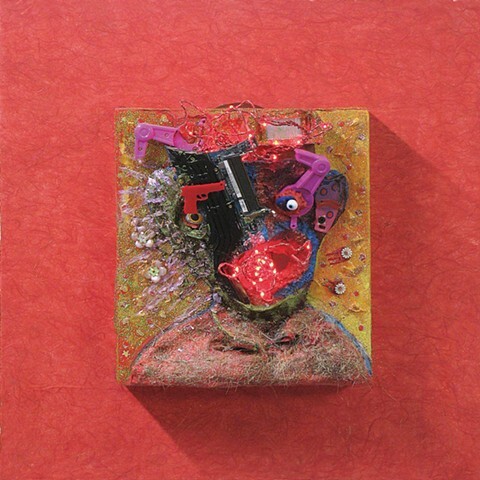 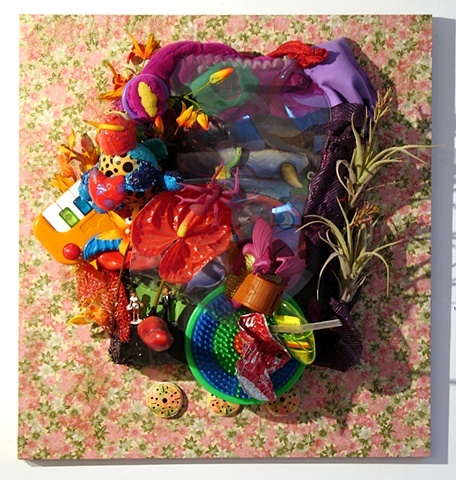 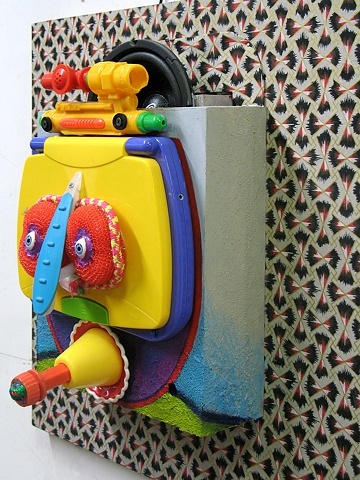 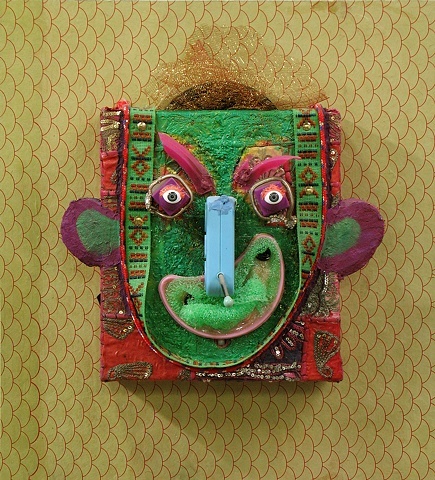 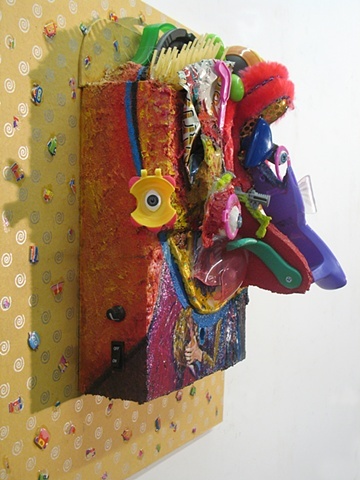 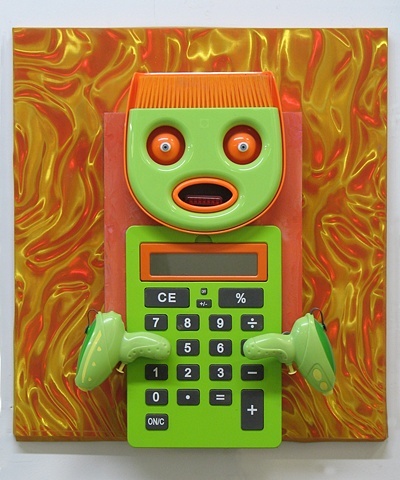 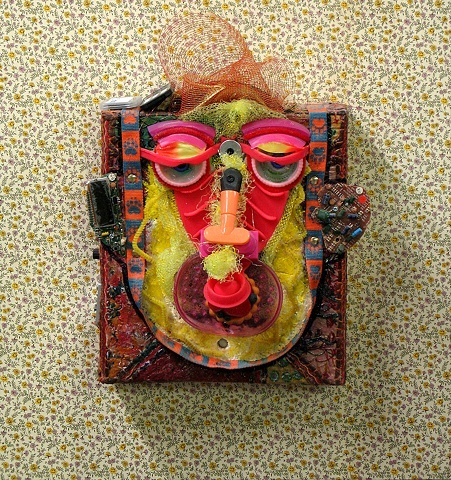 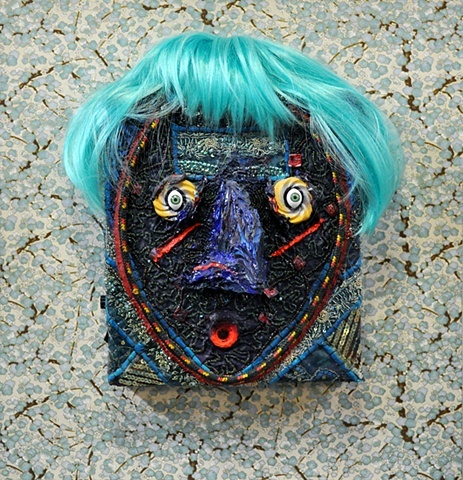 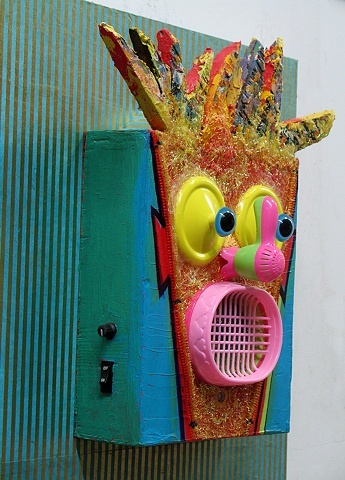 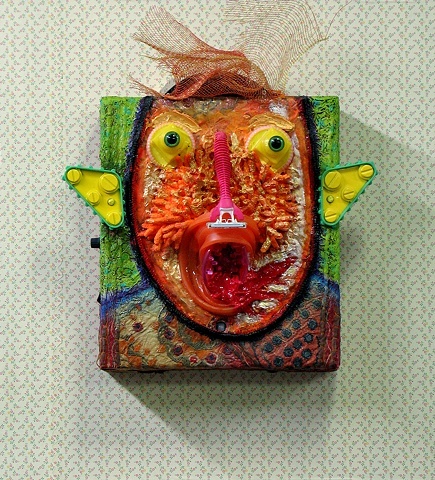 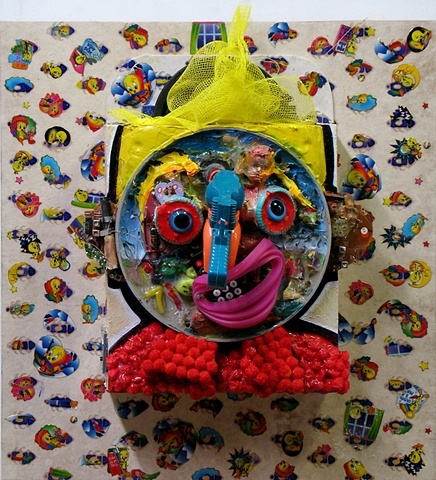 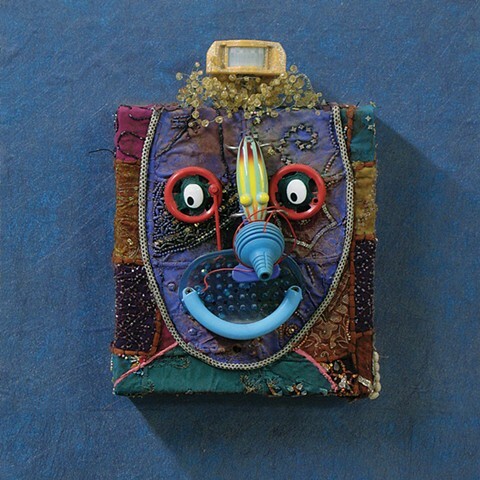 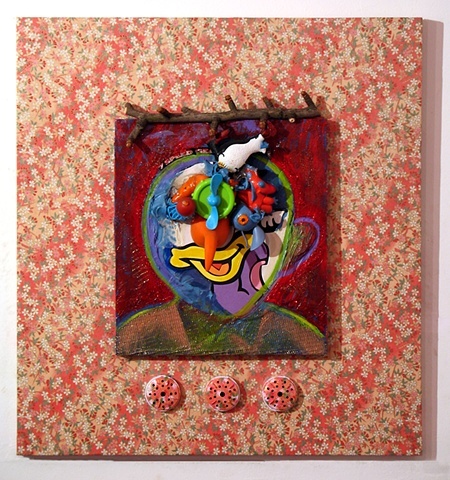 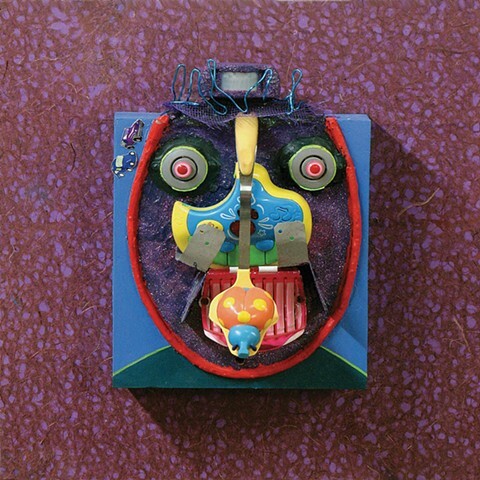 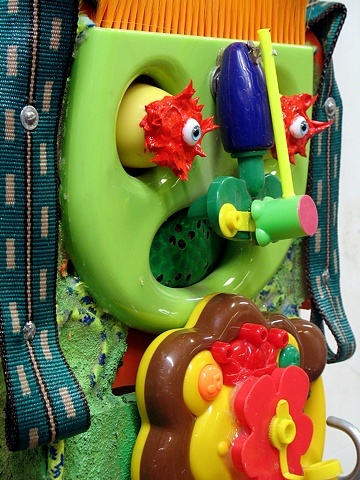 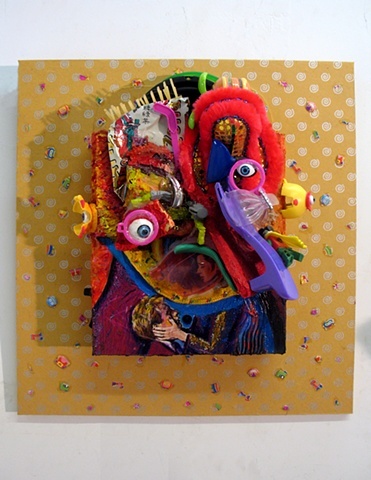 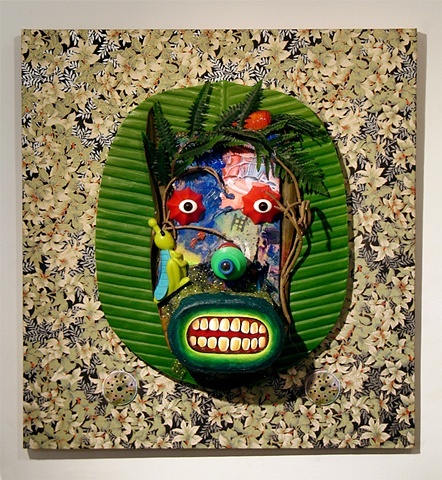 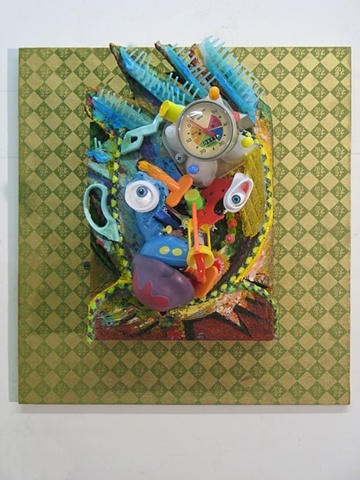 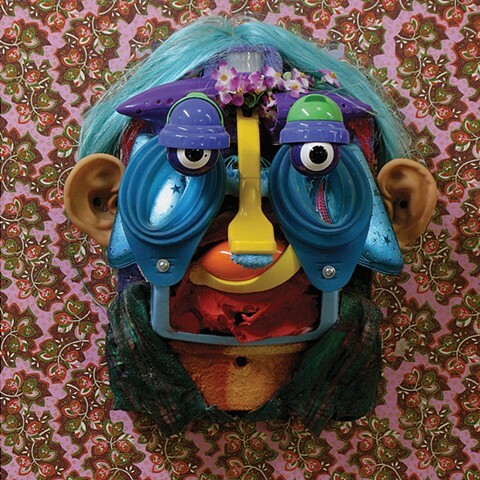 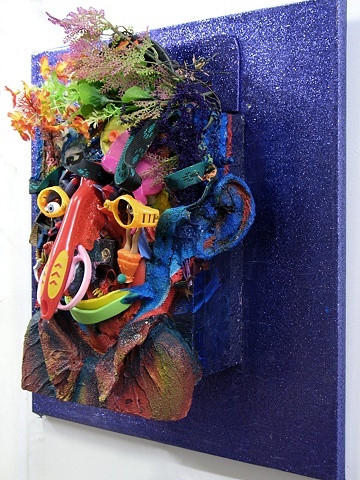 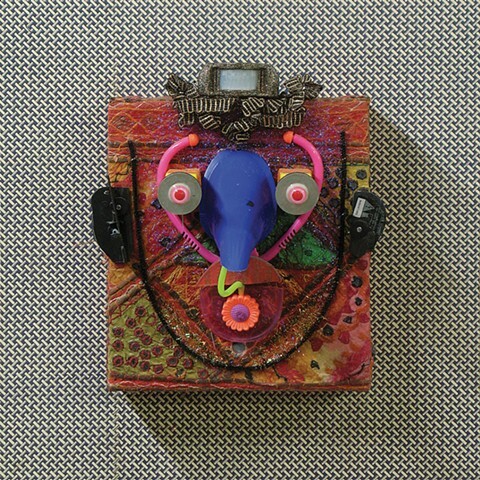 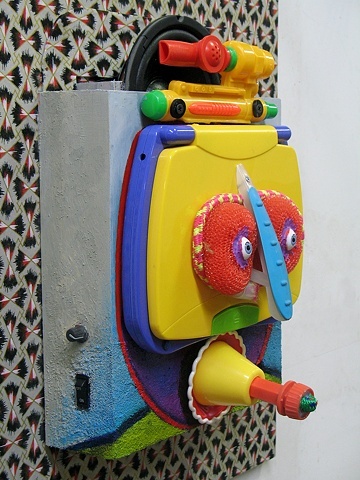 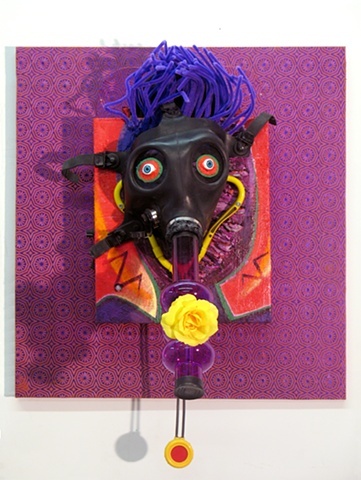 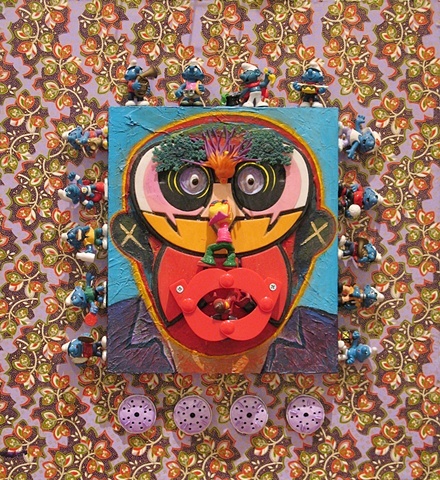 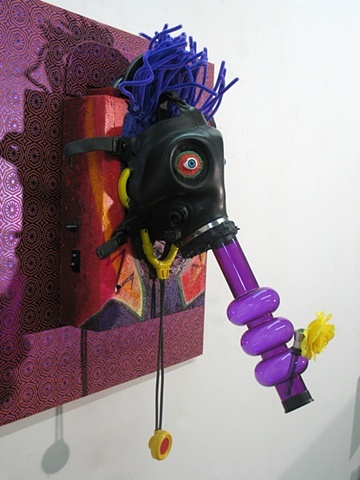 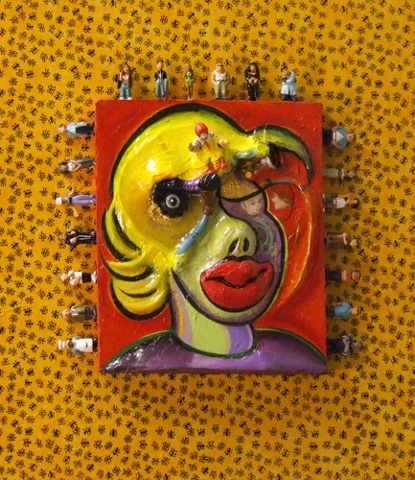 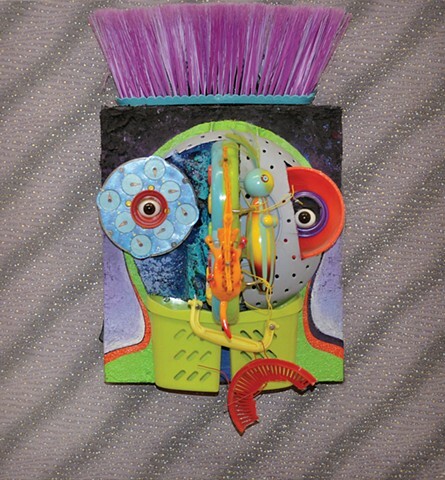 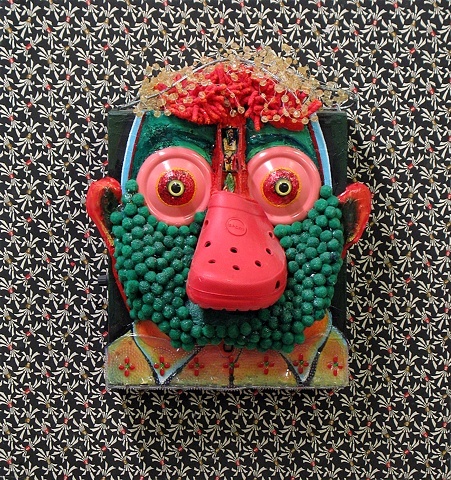 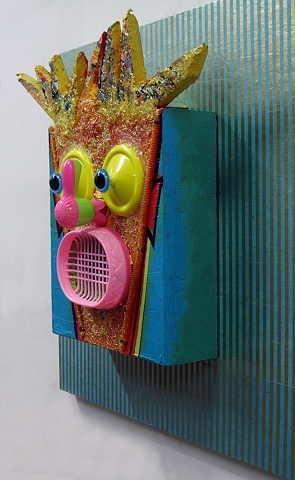 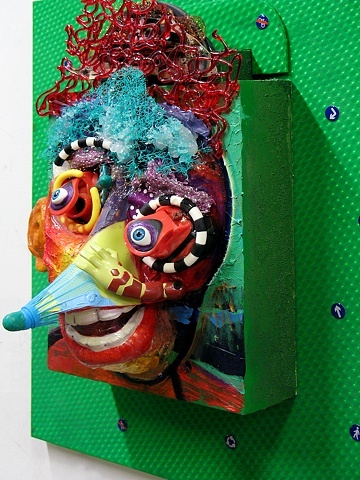 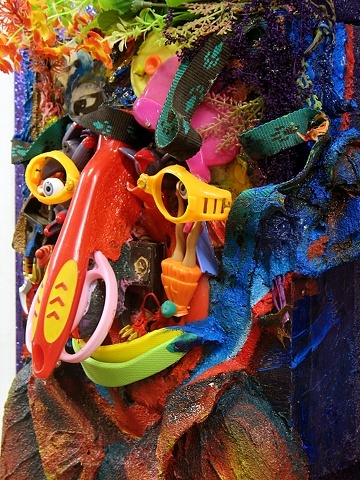 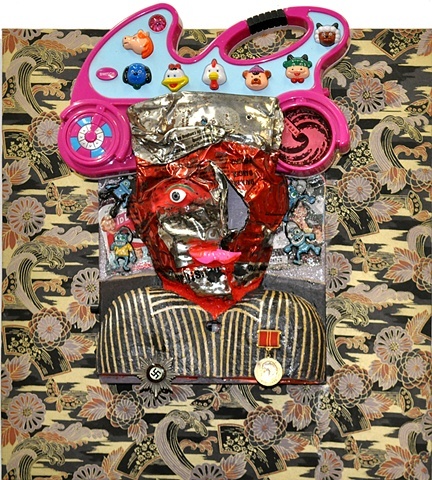 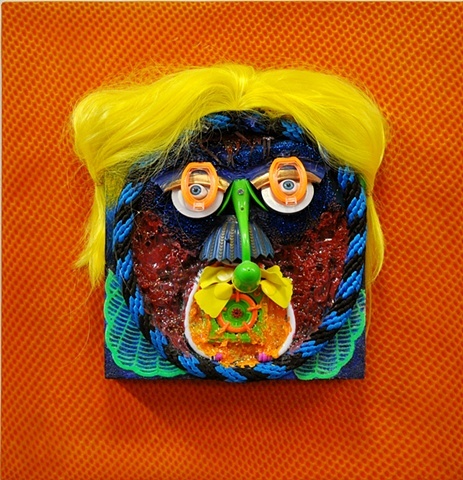 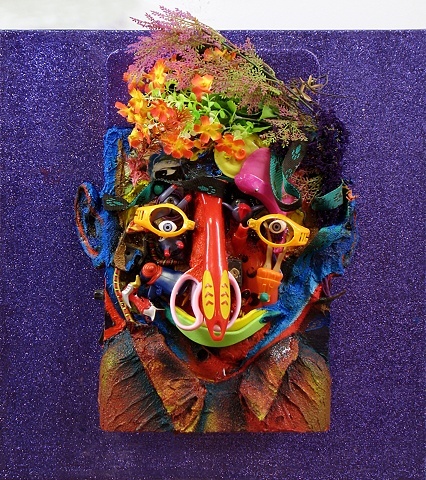 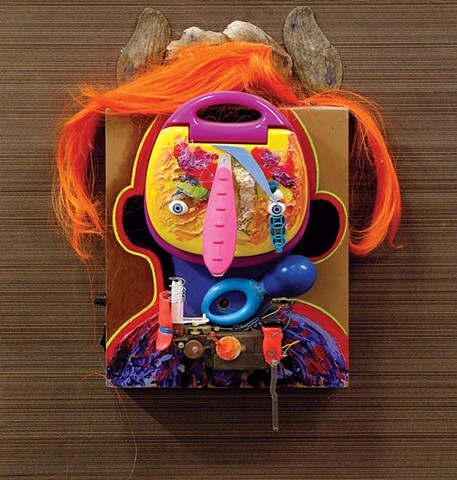 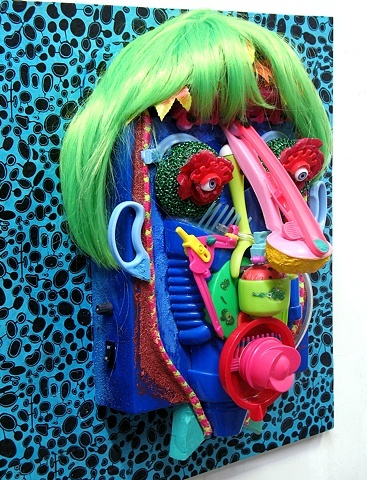 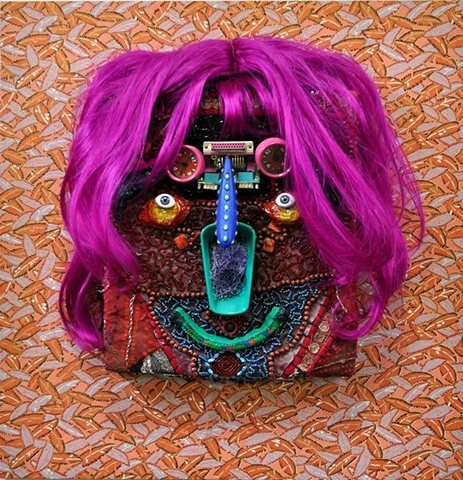 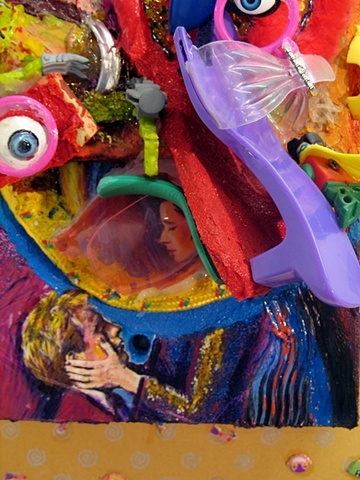 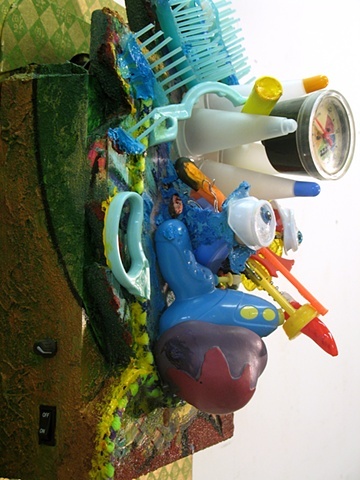 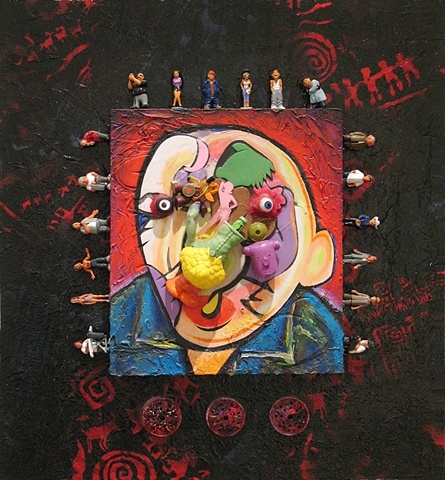 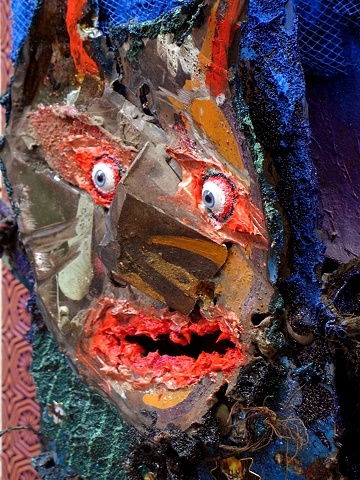 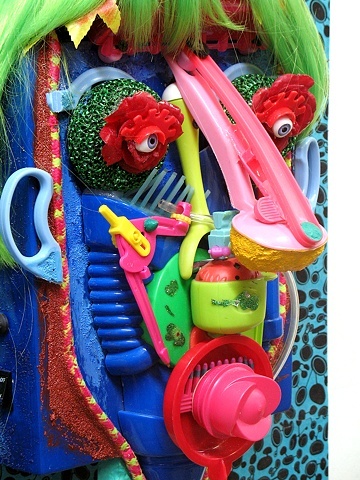 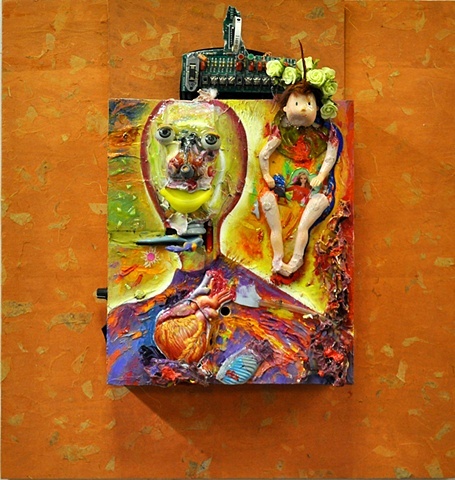 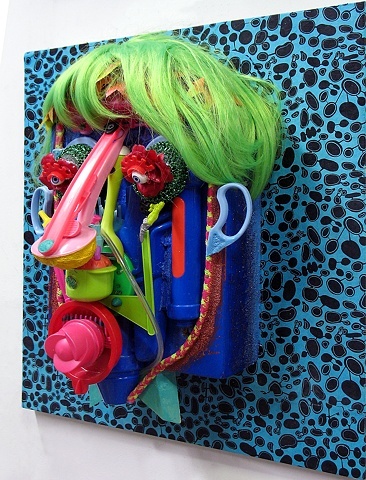 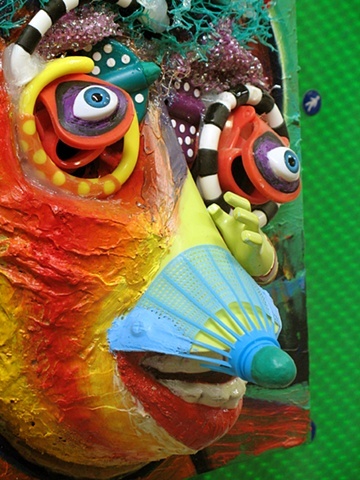 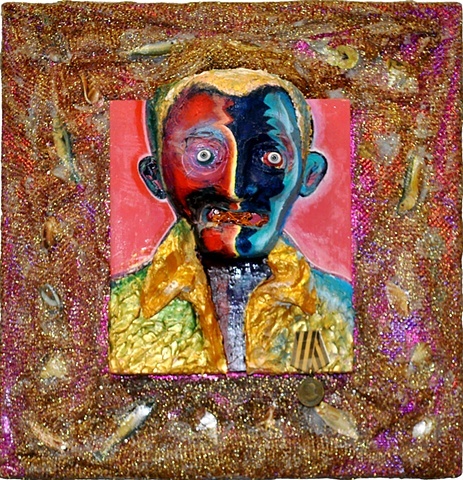 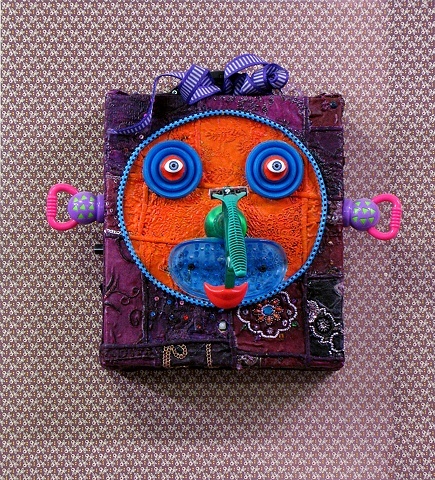 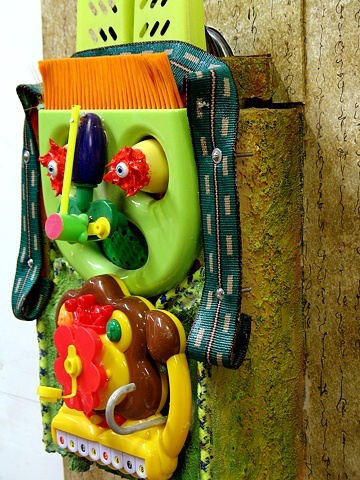 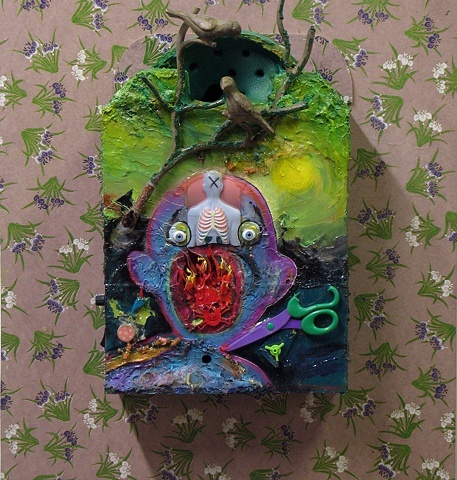 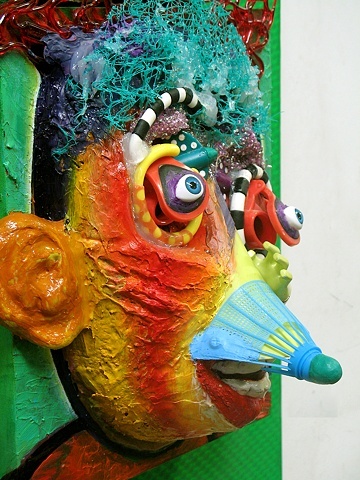 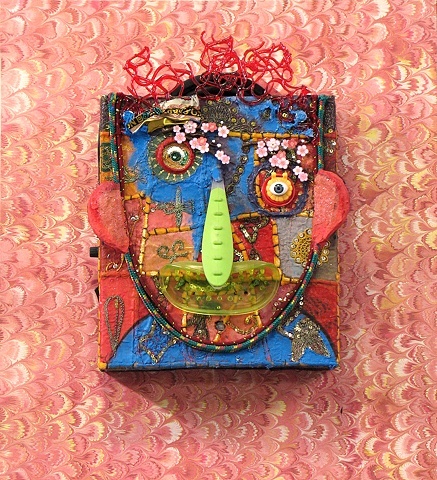 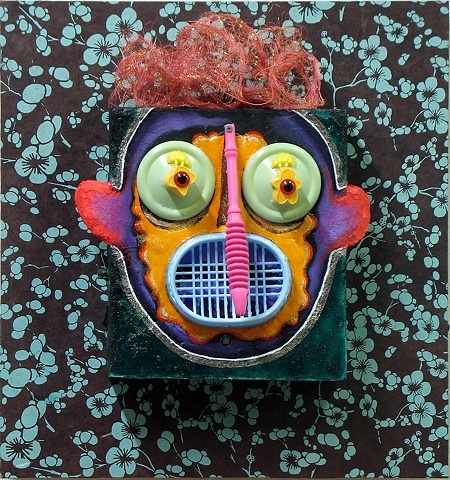 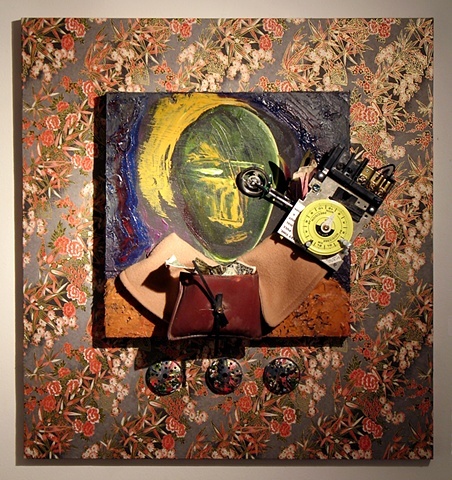 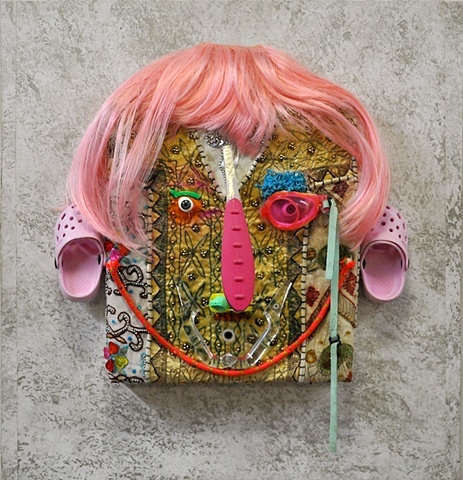 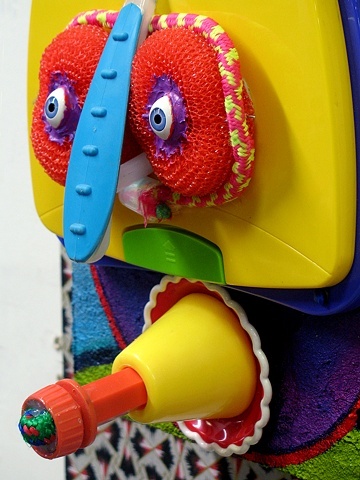 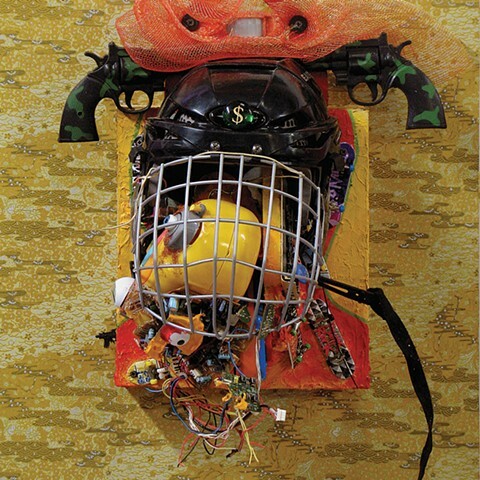 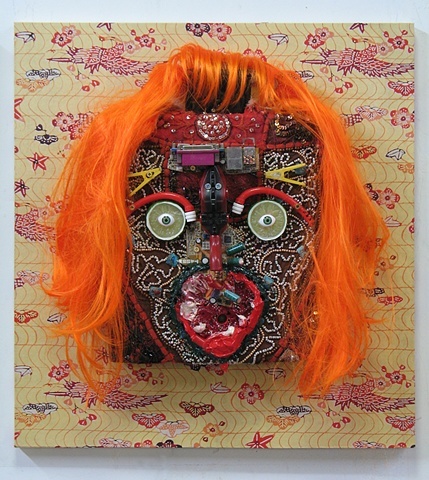 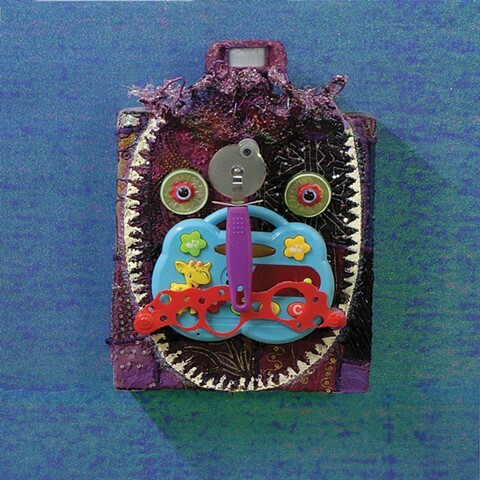 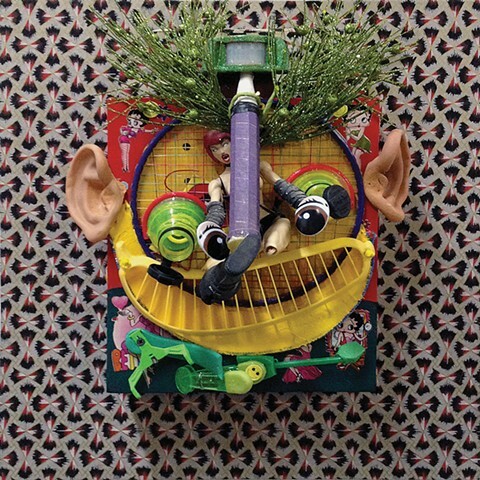 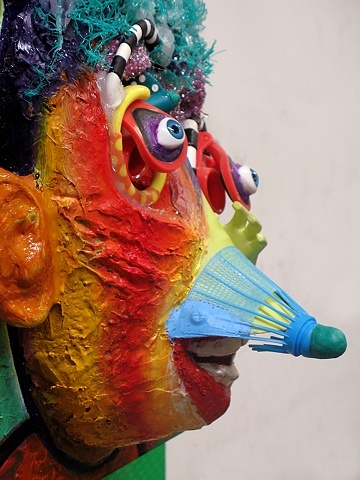 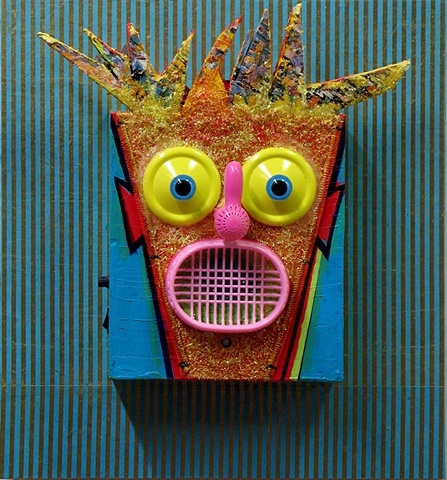 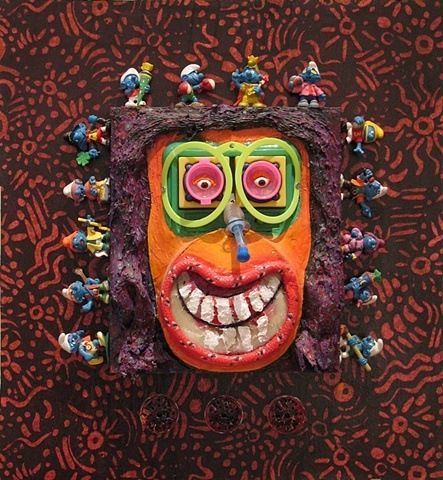 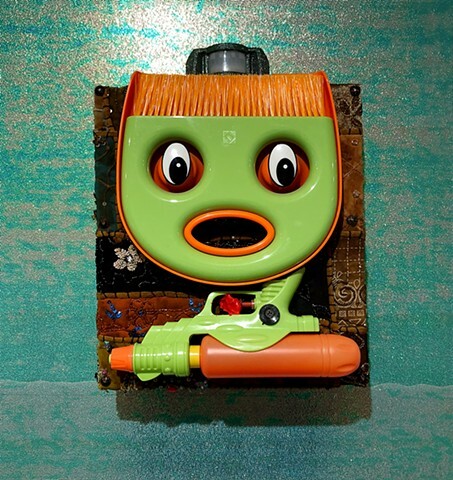 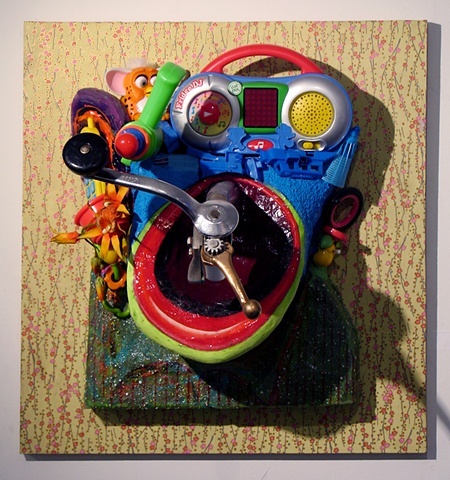 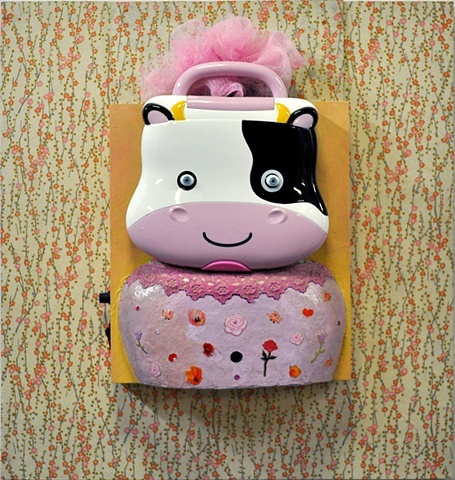 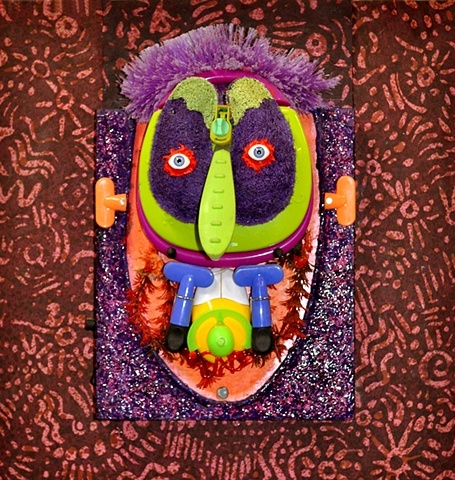 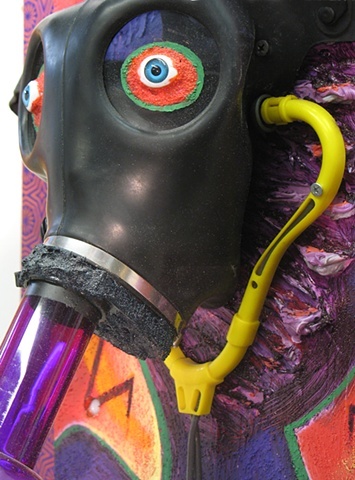 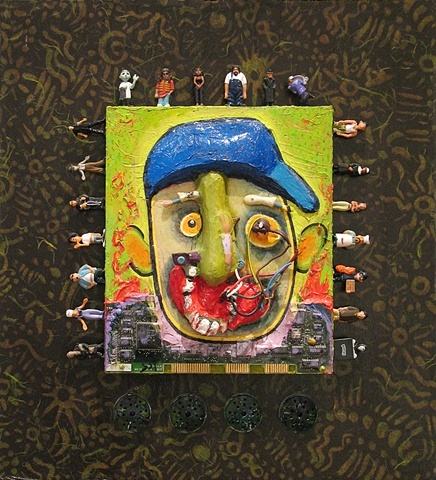 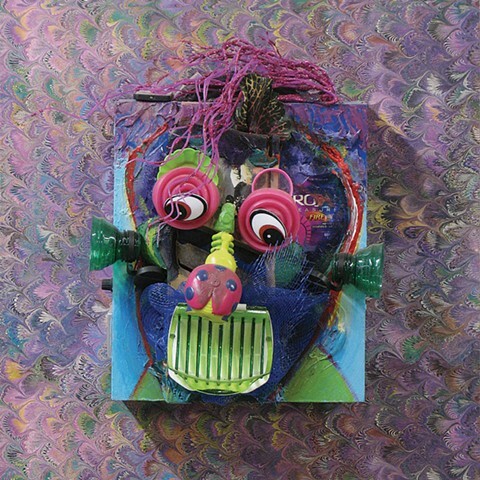 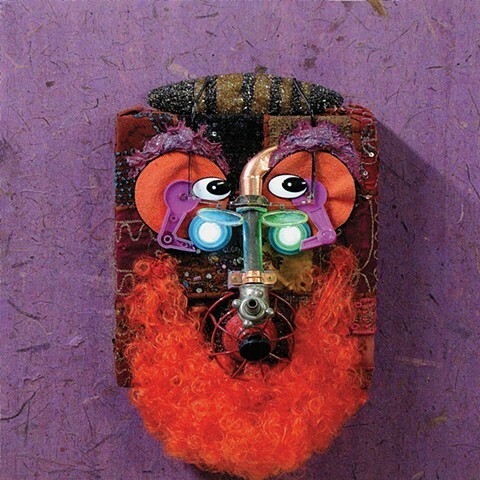 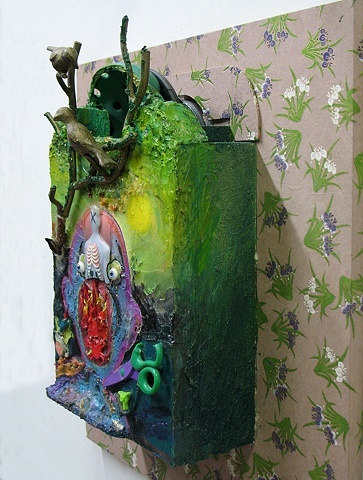 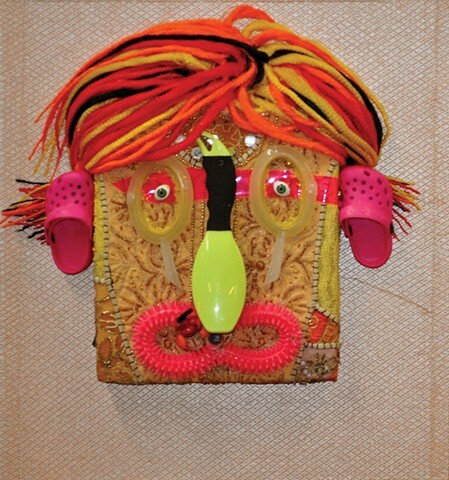 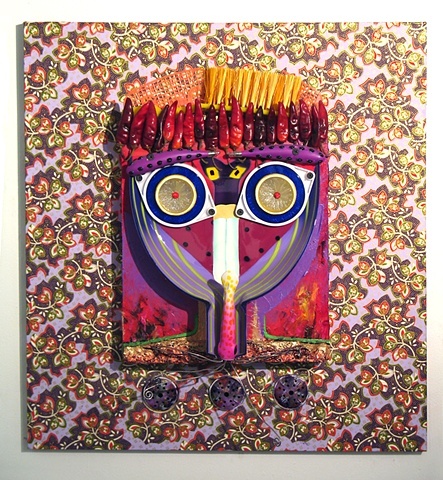 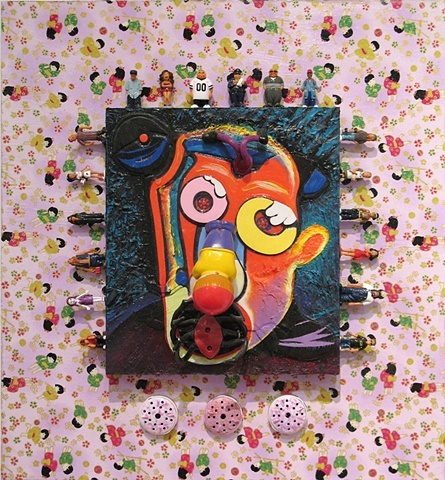 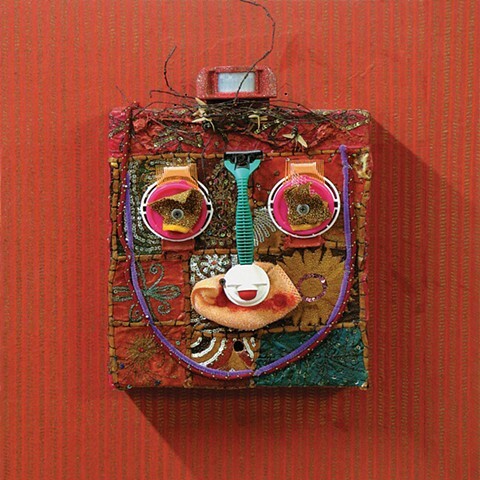 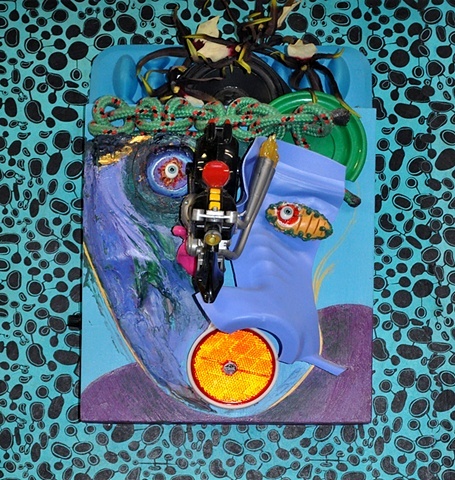 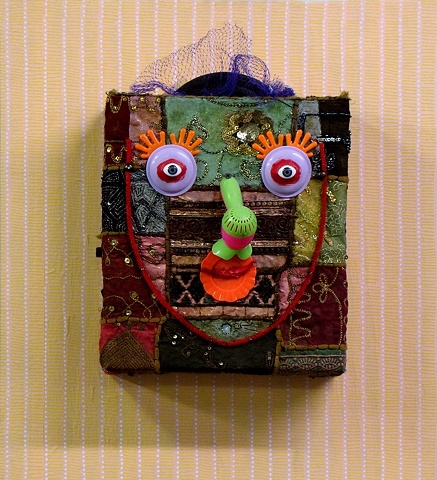 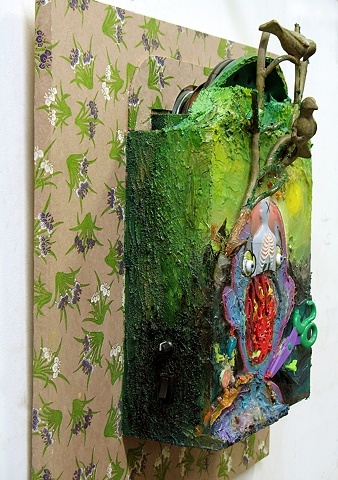 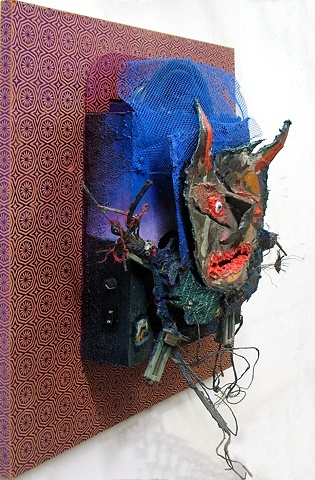 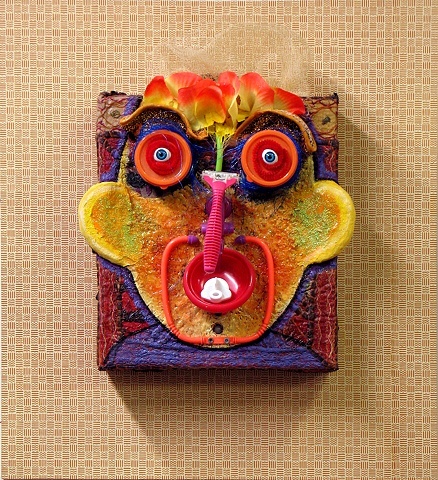 This series of faces, described by international art critic and lecturer Robert Morgan as “... less portraits than archetypes – composites of much of the weirdness that the artist encounters in human beings who he has met ...” are created from modeling paste, acrylic paint and found objects. 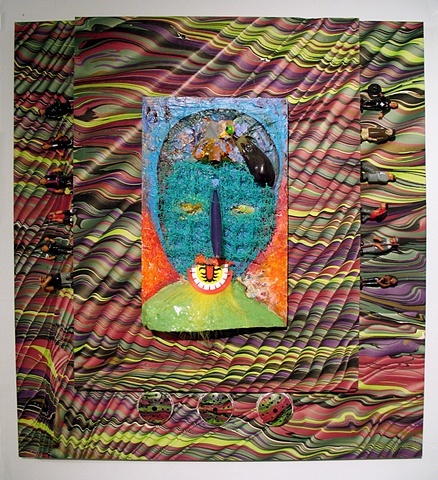 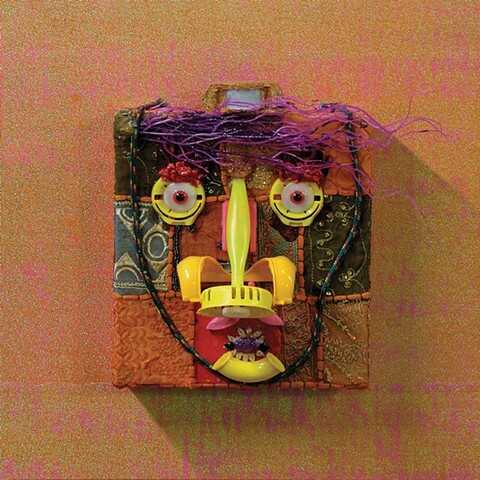 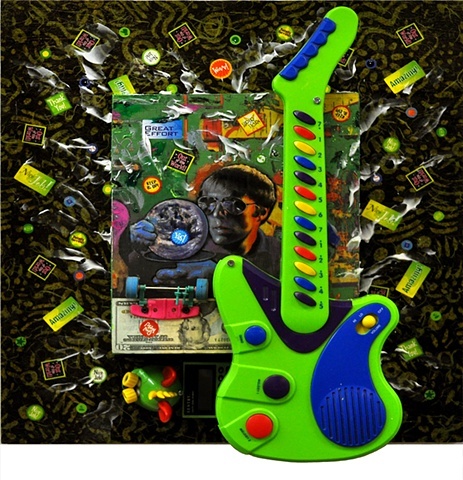 There is the added dimension of sound in this series giving each “Amerikan” a voice of his or her own.